The Good Care Group is a multiple award-winning national provider of high quality home care services. Enabling people to stay living safely and happily in their own home, whilst improving the quality of their life. Our services include 24-hour live-in care, day care and a respite service. The Good Care Group was founded in 2009 with a vision of becoming the leading provider of high quality home care services that enables people to live well in their home for longer – where we know people would prefer to be. At The Good Care Group, we have evidenced our care improves both medical and wellbeing outcomes. 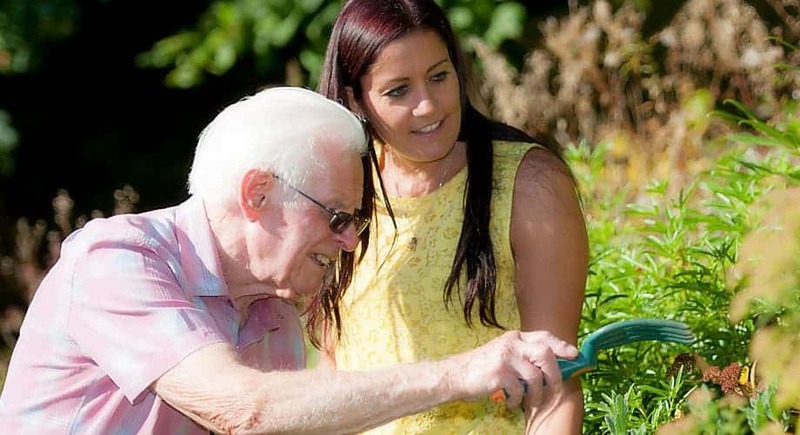 The motivation behind establishing The Good Care Group came from a mix of personal experience in searching for care for relatives and realisation that there were very few home care providers delivering a truly high quality service. The founders’ ambition was to establish an organisation that was able to drive up standards, professionalise home care and lead the way in the care sector. The Good Care Group is regulated to serve clients across England, Scotland and the Isle of Man. We pride ourselves on having achieved the highest possible ratings with our regulator, the Care Quality Commission. We currently have over 500 professional carers who are all employed by us – we do not use agency staff. Our recruitment process for carers is rigorous and those who are selected receive market-leading training and ongoing professional development to ensure the very highest standards of care supported by careful client/carer matching. We are leading the way in supporting those with specialist medical conditions, including: dementia, Parkinson’s, stroke, MS and Motor Neurone disease. We achieve this by working in close collaboration with both charities supporting these issues as well as alongside medical professionals and our own Advisory board. Our service is fully managed on a 24/7 basis, we have the first in house Consultant Admiral Nurse and care is continually monitored by a dedicated local team that provides unrivalled support to clients, families and carers. The Good Care Group is the most awarded live-in care provider in the country. Our Director of Operations sits on the board of the UKHCA. Specialist areas: Dementia, Parkinson’s, MS, Cancer, Stroke Recovery, Nurse led care, Palliative care, End of Life care, Respite care, Care post hospital discharge. Services offered: Person centred care which incorporates an holistic approach to enabling our clients to stay living at home inclusive of household management and support. Nurse Led Service, Respite service and end of life care at home. Experience and attributes required: We look for people who are passionate about care and have experience of care, which may be gained through caring for a family member. Our carers go through a robust interview process to be able to decide if they have the correct skills and values that we are looking for. Professional experience is good to have, but not an absolute requirement, as we often find that those who have cared for loved ones make excellent carers too with additional training and support. Typical assignment: We offer professional care, companionship and friendship, at a time when people need it the most. Live-in care provides a better alternative to care homes for elderly people, particularly those requiring dementia care. Carers work various rota patterns but typically two weeks on, two weeks off, as well as longer or shorter rotas. We pay holidays and offer shares in the company. Training and support given: A five-day intensive induction training programme with an emphasis on interactive learning, practical skills and discussion is provided. We offer ongoing training in partnership with recognised charities and progression through to the award of recognised diplomas in social care as well as a plethora of in-house training. Do you need to arrange care for a loved one? Contact The Good Care Group Today!